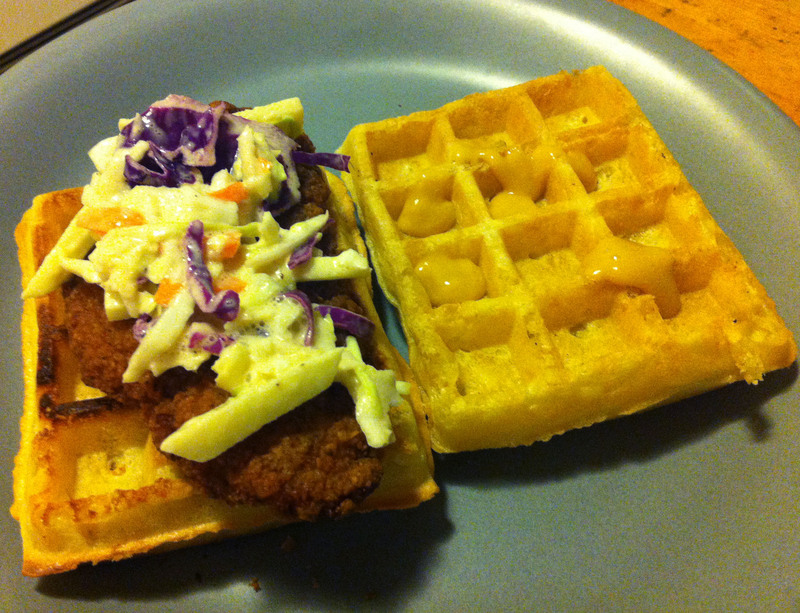 Thanks again for inspiring me to try another crazy sandwich combo-the Chicken and Waffle sandwich. As a fan of traditional chicken n’ waffles, it was great, but, just FYI, the sandwich tastes way better with some maple syrup on it. Honey mustard glaze (there are also lots of recipes for honey mustard glazed meat dishes that include the recipe for the glaze sauce so any will do). An appetite and a sense of adventure! Previous Post It’s a bacon-anza!